Mix a Hitchcock masterpiece with a juicy spy novel, add a dash of silliness and you have The 39 Steps, a fast-paced whodunnit for anyone who loves the magic of theatre! This award winning play is packed with nonstop laughs, zany characters an on-stage plane crash, handcuffs, missing fingers and some good old-fashioned romance! 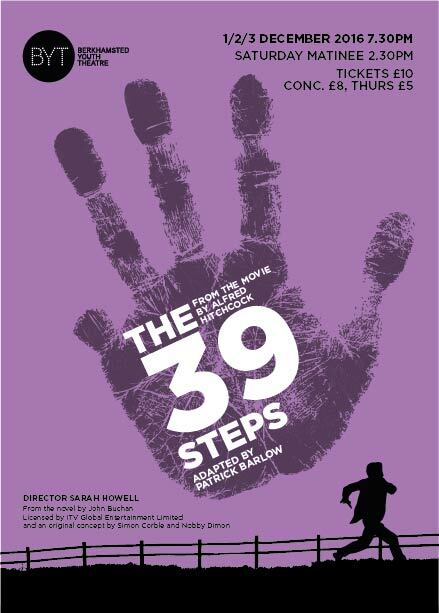 In The 39 Steps, a man with a boring life meets a woman with a thick accent who says sheâ€™s a spy. She is murdered and soon, a mysterious organization called â€œThe 39 Stepsâ€ is hot on the manâ€™s trail in a nationwide manhunt that climaxes in a death-defying finale!